Fitness classes are a wonderful opportunity for people whose desire is to be independent, healthy, strong and mobile as they mature. 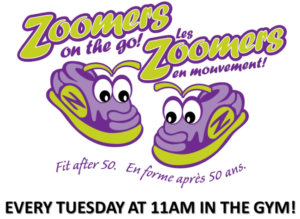 The Zoomers on the Go program (for those who are 50+) is under the direction of St. Joseph’s Community Health Centre. Each person who registers is assessed by health care professionals before beginning the classes and at a later date to monitor improvement in strength, balance, and endurance which helps to prevent injuries and falls. Participants register through the Health Centre by calling 632-5537. Non-fiction books – commentaries/study guides/biographies/crafts/books about marriage, parenting, prayer, grief, finances, missions, Christian living, etc. We encourage everyone to take advantage of these materials that are provided for your spiritual growth and enjoyment. “…for knowledge will be pleasant to your soul” (Prov. 2:10).